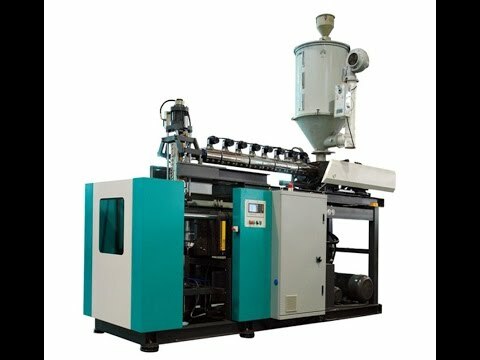 This PC 5 gallon blow moulding machines is the best choice for blowing 5 gallon BPA free PC bottles, assure you have a perfect products marketing effect with our high technology standard and perfect after service. Like all main structures of the system the clamping unit is undertaken a stress analyses by Finte Element Methods, Instructed by STAR - rails and adopts proportional hydraulic valves, central lubricating unit, fast movements are possible to assure high output capacity. The sturdy design and the placement of the cylinder in the centre of the clamping platens provides a good cutting and a long lifetime of the moulds. •View stripe equipment for all die heads is available. Designed from well trained engineers, made from imported steels with optimized cooling and the necessary article depending parts like die tooling, blow pins and deflashing unit make out of the system a ready production unit where all parts fit for high output capacity in perfect quality. Integrated PCC control unit from B&R (Austria). All functions are controlled by the unit. Values are easy to be set and monitored on a 10.4" colour display. As well as the temperature is controlled by the unit, the movement of the die is controlled by an integrated 100 points WDS unit. Bottle volume: 1-5 gallon PC bottles.